LED lights are popular thanks to their energy saving capabilities as well as the very imaginative ways in which they can be put to use. While there are versatile traditional lighting solutions available these days, there are many more ways in which the LED lights can be used in and around the house. LEDs are small, solid light bulbs, operate differently, are very efficient and far more rugged and durable. There are various advantages of LED lighting solutions. They are very long lasting. Their life span can extend up to a whopping 60,000 hours as compared to the meagre 1500 hours of its predecessors which is as much as 90% efficiency over the traditional solutions. Thanks to their latest technology LED lights are also quite high on safety. The maintenance costs are less and the longer life span means less frequent expenditure. So even though the initial costs might be a little higher they are easily the better option over traditional lighting if you can get a look that suits you. Statistically speaking, the LED lights will last as long as 6 years if used constantly. So considering the approximate working hours to be 50,000 you can count the life span for yourself depending upon your hours of usage. These lighting solutions last as much as 10 times more as compared to the compact fluorescent bulbs, and 133 times longer than typical incandescent bulbs. These state of the art solutions utilize semiconductor materials with a tiny chip encapsulated in an epoxy resin enclosure, making them sturdier and safer with more shock withstanding capacity. These generate hardly any heat which again reduces the potential for safety risks such as burns and fires. The use of non toxic materials also makes them environment friendly. LEDs have a very wide market and a great future too! Current applications include wide residential lighting, aerospace, architectural lighting, automotive, aviation, broadcasting, electronic instrumentation, entertainment and gaming, industrial automation and controls, the military, traffic etc to name a few. 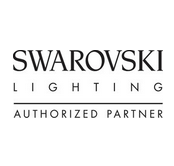 At Sussex Lighting, we have an amazing array of LED lighting options suitable for residential and commercial use. Browse our LED catalogues to see what we have to offer. Or ask our home visit lighting design consultancy service to contact you.